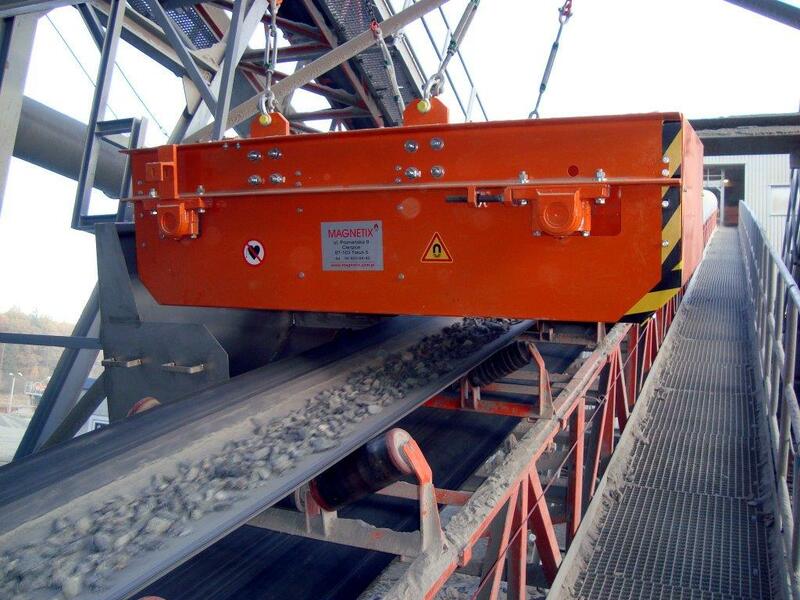 The over-belt magnetic separator type STM is intended for removal of tramp iron from bulk materials transported on conveyor belts or vibratory feeders. 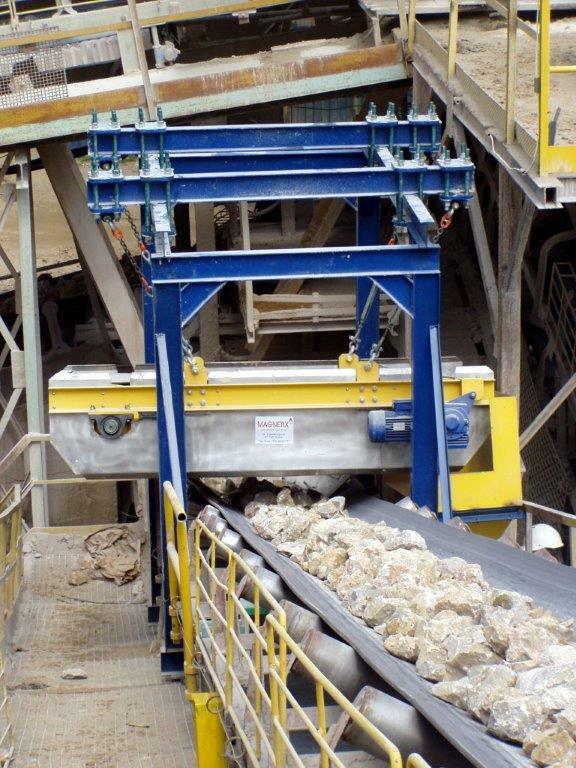 The STM magnetic separator is used to protect of process machines against damage caused by an unwanted piece of ferrous metal and also to recover valuable ferrous scrap from waste materials. Removal of tramp iron contaminants from coal, granite, limestone, basalt and other aggregates to protect crushing and grinding machines. Removal of tramp iron contaminants at particular stages of cement production. Removal of tramp iron from moulding sand. Cleaning of chips, shavings and other shredded wood materials. 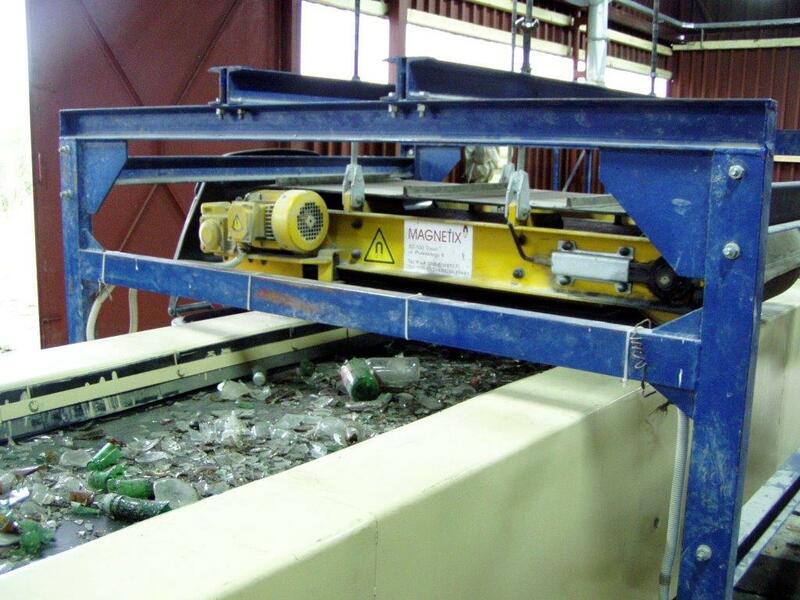 Cleaning of cullet, rubber, plastics and other materials coming from recycling. 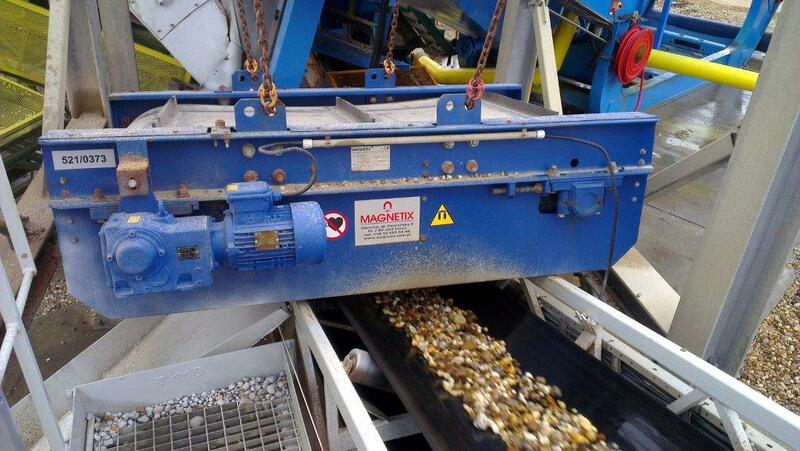 Recovery of ferrous scrap from municipal and industrial waste. Cleaning of alternative fuels and compost. Protection of sugar beet slicers. Magnetic circuit with high range and magnetic field strength. 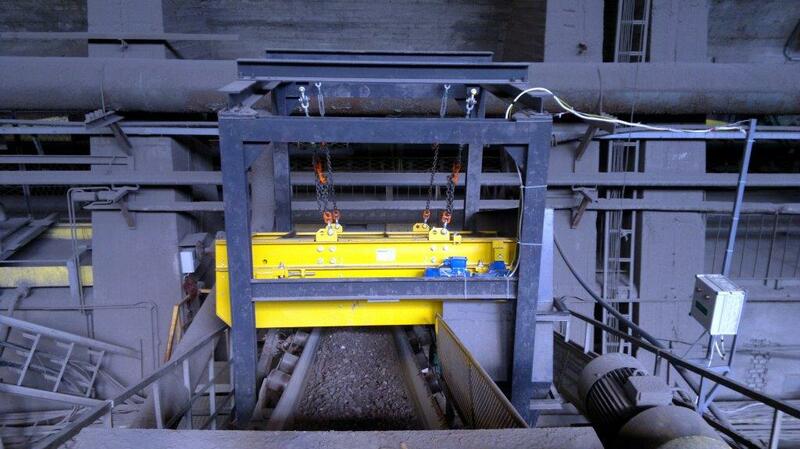 Optimal adaptation to the conveyor belt width and speed. 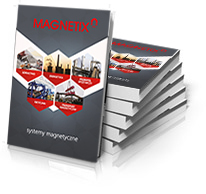 Low operating cost - permanent magnet does not consume electrical energy. Rugged construction ensuring long service life. 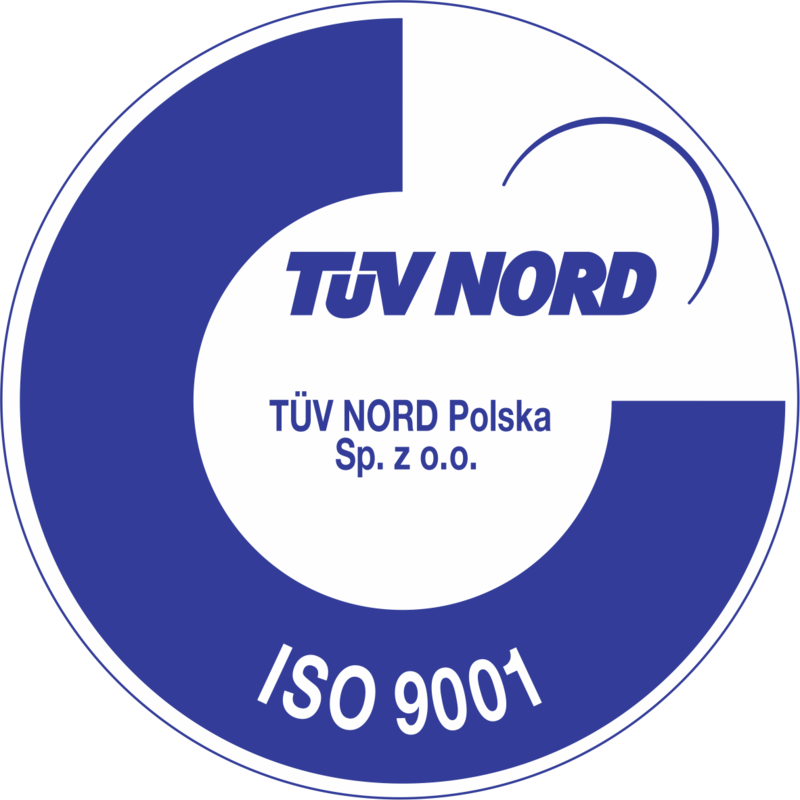 Explosion-proof design in accordance with the requirements of the ATEX directive. Stainless steel design for operation in aggressive environment. 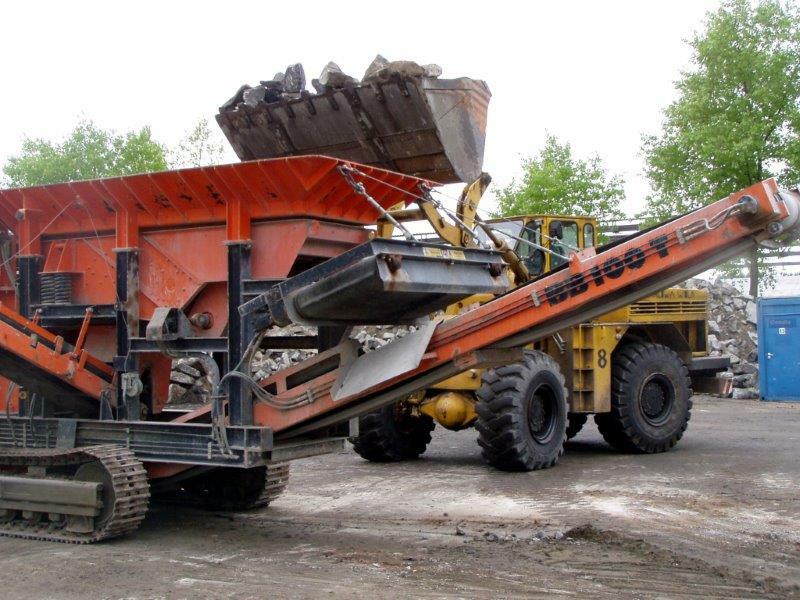 Version with the Danfoss hydraulic drive adapted to installation on the mobile crushers.